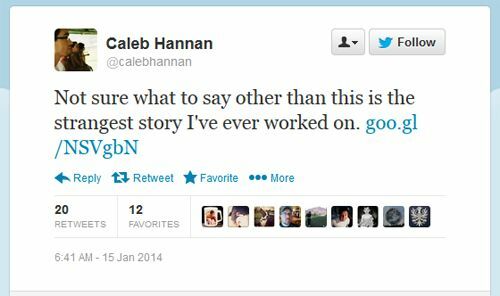 That is how Grantland writer Caleb Hannan shared his article about Dr. V, the creator of a new golf putter. To get access to Dr. V, Hannan agreed to "focus on the science and not the scientist." But during the course of researching and writing the piece, he discovered that Dr. V was a trans woman—a piece of information he found so interesting that he broke his agreement to focus on the science and not the scientist. Before the article was published, Dr. V took her own life. The article was published nonetheless, complete with misgendering pronouns peppering the latter part of the narrative arc in which the author casts himself as Holmesian detective uncovering a great mystery. Hannan distances himself from this tragedy by including in the story the report of a previous attempt at taking her own life made by Dr. V, as if to suggest that her suicide was inevitable. When she does not agree to become the focus of his story, which was meant to be about the science, he pouts and tasks her with the responsibility for his aggressive invasiveness: "Dr. V's initial requests for privacy had seemed reasonable. Now, however, they felt like an attempt to stop me from writing about her or the company she'd founded. But why?" He reports disclosing that Dr. V is a trans woman to one of her investors. He publishes her birth name. He describes the scene of her death. And he concludes the piece by calling it a eulogy. I have hardly detailed everything objectionable about this article. These are the barest outlines of one of the most cavalier, irresponsible pieces of journalism I have read in a very long time. There are already legions of defenders, who are keen to make arguments that Dr. V's lies about her background are newsworthy, which is debatable, although I tend to agree that lying about her educational and professional history, which were apparently a central part of the pitch to investors and potential buyers, was unethical and worth reporting. * But her being transgender is entirely irrelevant—and if Hannan's research into the former was what led to his discovery of the latter, it doesn't mean each piece is equally appropriate to report. One was about her professional life, and stood to potentially damage her career. The other was about her personal life, and stood to put her at risk for both professional retribution and personal harm. Which is why, in one of her last communications with Hannan, Dr. V warned him that he "was about to commit a hate crime." But it was just a strange story to the writer. UPDATE: I urge you to also read Eastsidekate's piece, "What if 'Dr. V' was French?"